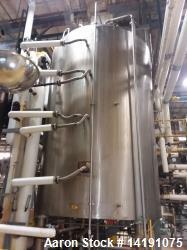 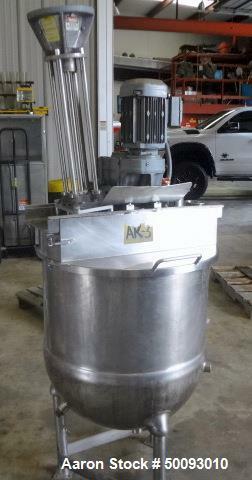 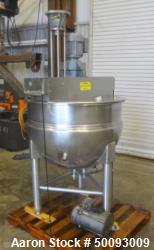 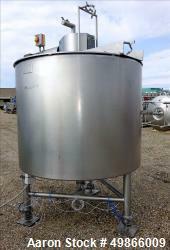 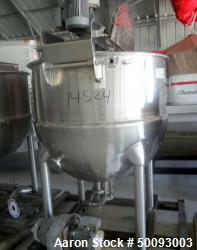 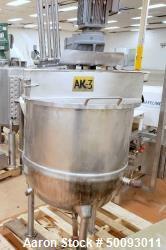 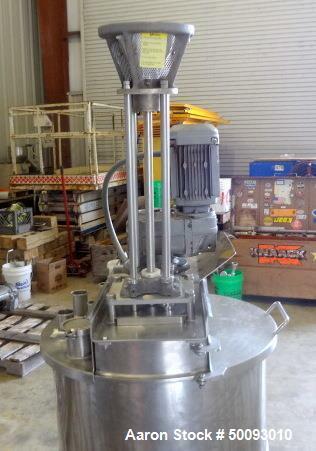 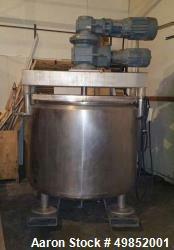 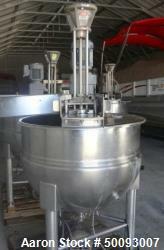 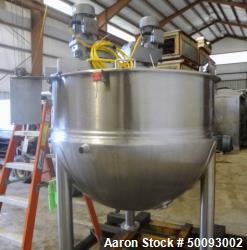 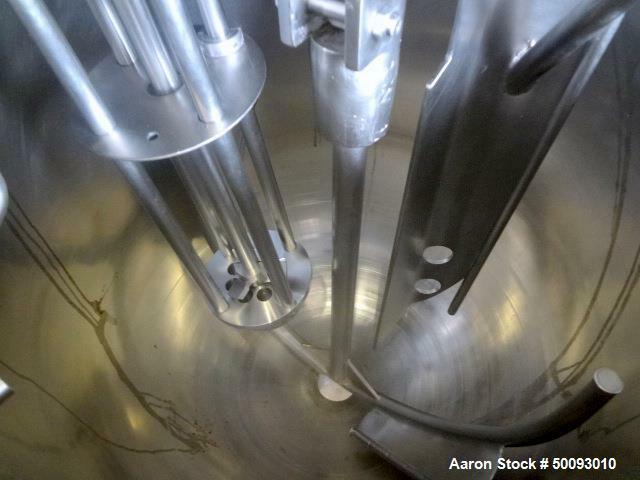 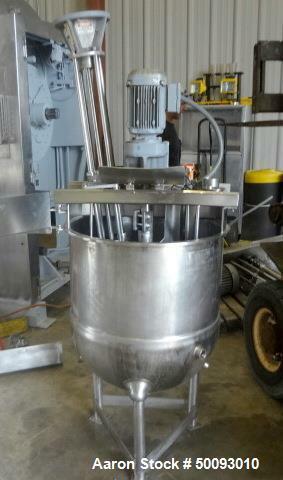 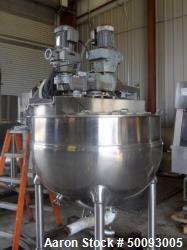 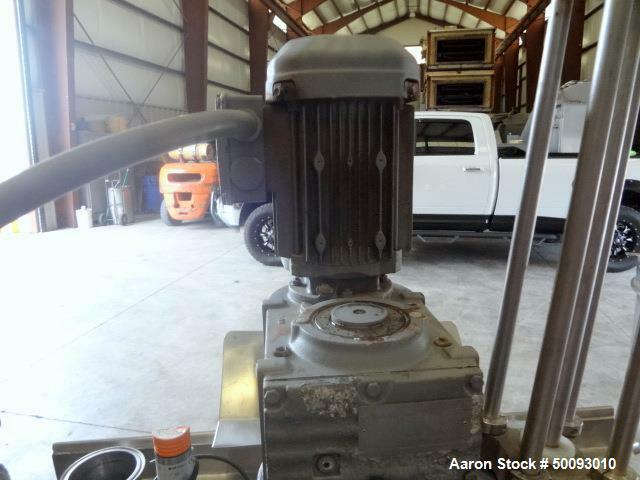 Used- Groen Twin Agitated Kettle, Model RA-50, 50 Gallon, Stainless Steel, Vertical. 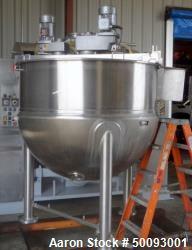 Hemispherical bottom. 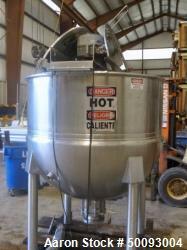 Half bottom jacket rated 100 psi at -20 to 338 degrees F. Anchor style agitator with side scrap. 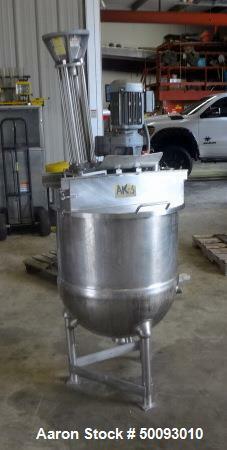 Top entering offset high shear agitator. 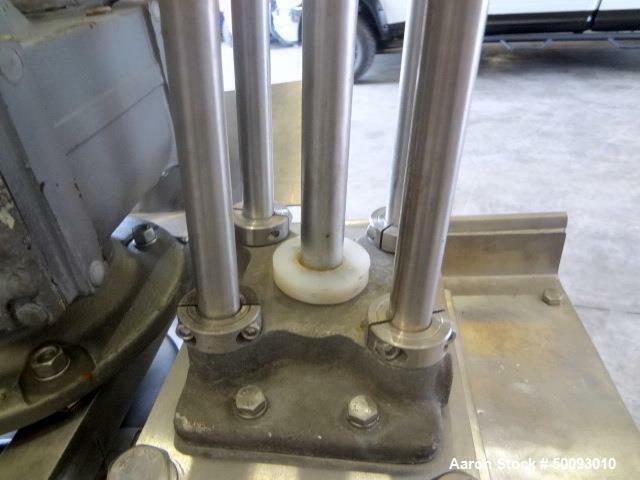 2" Center bottom outlet with air actuated valve. 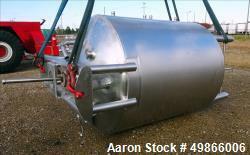 Mounted on (3) legs. 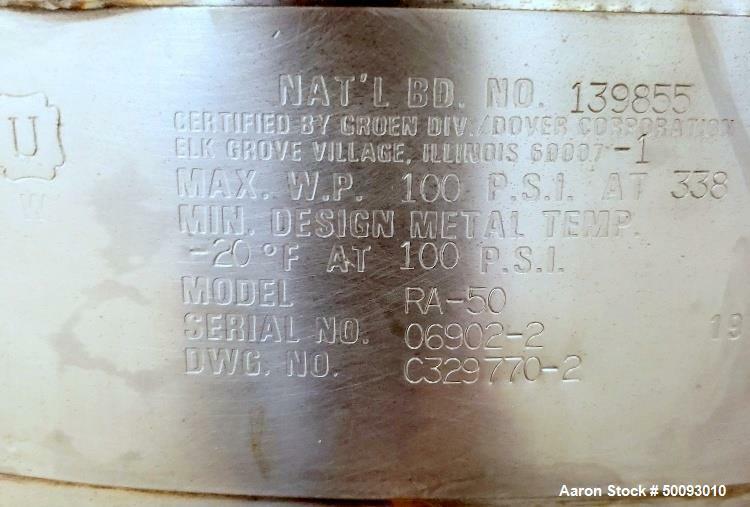 National Board# 139855, Serial# 06902-2, Built 1997.